This is a follow-up to the Fallacy of Always Being Joyful. If you haven’t read it yet, I invite you to do so. After spending much time in prayer and contemplation, I realized that there is, unfortunately, far more things to point out in regards to this fallacy of a Catholic always needing “joy” in order to be Catholic. Hopefully, this will be the last post, but, if the hierarchy continues to expound upon this fallacy, I will have to write more. The idea that sorrow is somehow unholy, non-Catholic, and even bad is unheard of when you look at all of Christendom. There is no guarantee that once you become Catholic and are practicing the faith (though, if you aren’t practicing the faith then you aren’t Catholic) that you will become so full of joy as the world understands it. The sense of joy that we Catholics do receive, is that we recognize that we are at least on the right path and are following God as best as we are discerning. This isn’t a guarantee of salvation, but we at least recognize that in following God and His Church, we are at least on the right path, even if we are failing along the way. Ultimately though, when we have properly discerned what God is asking of us, we will experience the true sense of joy, that we as creations of God, are following what the Creator has Willed for us. What interests me, is that the church (small c) has bought into the lie that the culture has been peddling that we have to be happy, in fact, we can’t be sad at all. If we are sad, then there is something wrong. We must be depressed, and there is a pill to cure that. No longer are we required to do penance, because its painful, inconvenient, and annoying. After all, if it doesn’t feel good, don’t do it, right? There used to be for the first 1900 years of Catholicism, a sense that sorrow was good, especially when that sorrow was for atonement for our past sins. We should be sorrowful for the times that we have spat in the face of God, turned our back on Him, and gone about seeking our own pleasures. We do it quite often, more than we even consciously realize. 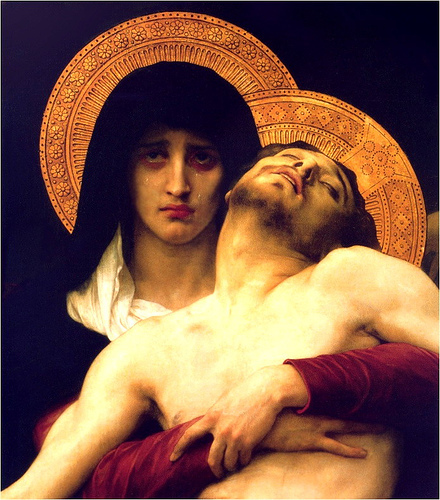 After all, the Church used to be so praiseworthy of sorrow, that even Our Mother Mary has a title of Our Lady of Sorrows! Don’t Cry Mary, You Should Be Joyful! Every single Saint was sorrowful at some point in his or her life. To assume otherwise is naive. Look at St. Augustine in his Confessions. Many times he mentions that the thought of some of the sins of his life bring tears to his eyes. It would be wrong to assume that these are tears of joy, as to be joyful for ones sins would warrant unholiness as the sinner would be proud of his sin. This doesn’t work as we must be repentant of our sin from the time we have committed it, until the time that we are no longer on this Earth. This is why the argument “even though I’m sad that I did x, I’m glad I did it because otherwise I wouldn’t be where I’m at today” is a argument rooted in error. Be sorrowful for the action, and be sorrowful that you didn’t follow the Will of God to get to the point you are at today. God never Wills sin, but allows it in his permissive will. 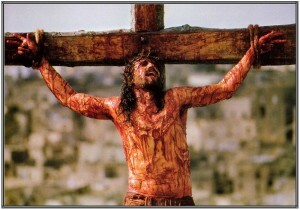 Even Jesus Christ Himself was sorrowful. Let us not forget the 2nd set of mysteries of the Holy Rosary, the Sorrowful mysteries. This includes the mysteries of Jesus Christ’s agony in the Garden of Gethsemane, His flogging at the Pillar, the crowning of thorns, the carrying of the cross and alas, the moment of His Crucifixion and Death. If you forgot what this looked like, let alone what it might have felt like, here is a helpful reminder. This is not a joyful moment. This is a sorrowful moment. There is a time for joy, and a time for sorrow. Accept that joy and sorrow go hand in hand. After all, how can you appreciate the joyful moments if you have no sorrowful ones? How can you appreciate happiness, if you’ve never once gone through sadness? Our world is SO conditioned to believe we have to be happy, happy, happy, or there’s something terribly wrong. But Jesus carried His Cross–we are expected to carry ours, too. I doubt if Jesus smiled through His agony. I remember a lady in a Catholic organization being told by a parishioner that the members of that organization were ‘so somber.’ “Why don’t you smile?” But I would guess these members were focused on Jesus and His sacrifice; not on the ‘feel good’ nonsense we are fed today.